We had news from Weekly Famitsu last Thursday so this week it's Dengeki PlayStation's turn for the latest Sengoku Basara 4 Sumeragi updates. Despite it being featured in a special PlayStation 4 feature article there isn't much new content this time. "Two personalities exist within Rikyuu. Since Wabisuke and Sabisuke have opposing personalities, they argue constantly; yet they understand one another's feelings because they both share the same vessel. In their drama route, Wabisuke and Sabisuke undergo a chemical transformation. 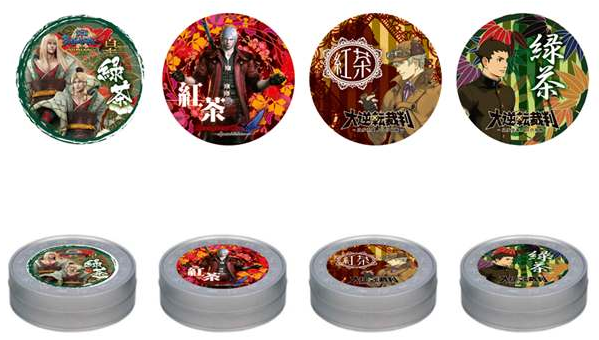 Please experience Sengoku Basara's take on 'The Way Of Tea'." There were also some gameplay comments from someone who tried all three new characters, which I've summarised. Since Rikyuu automatically switches his personality and appearance according to the move being performed, there's no sense of awkwardness when you play as him. The feeling of him being psychic probably comes through strongest when he moves through the air after a jump. It's not very fast, but it's an effective way to avoid weak soldiers you don't want to fight. When Rikyuu uses his Nodate ('Outdoor Tea Ceremony') super move his enemy watches him perform the tea ceremony in silence from start to finish; it's a weirdly funny sight! Yoshiteru lets you use 'kingly' moves. All of his techniques are powerful and they also inflict damage over a wide area; he's seriously strong!! His risky super moves are a little tricky to pull off but when you succeed you'll feel so satisfied that you'll become addicted! Maria often behaves as though she's playing rather than fighting a battle. She has plenty of moves which involve wrapping the enemy soldiers around her little finger and toying with them. I want to draw attention to the way that her actions and effects change according to the target of her attack; the moments where things become more sadistic are a particular highlight. Sakon's new 'Rider Suit' costume has a skull and dice emblem embroidered on the back. This was mentioned in the last update on the official website but I missed it at the time. The game has slipped to 11th place in Dengeki PlayStation's ranking of upcoming games (the voting split is now 23.1% PS4, 76.9% PS3). I also bought Weekly Famitsu this week even though it was obvious that it wouldn't have much information so I was pleased to see a flashy two-page advert for the game right after the contents page. They're going all-out to promote it after the weeks of silence! The marketing campaign is pushing the silliness of the series by introducing the three new characters thusly: "A gambler... yet he's the strongest!! A tea master... but with psychic powers!? A beauty... but a super-sadist!?". Sengoku Basara 4 Sumeragi currently holds the 22nd (PS3) and 29th (PS4) positions in the magazine's list of most wanted upcoming games. The new Sengoku Basara 4 Sumeragi video which debuted at the fan meetings and exhibitions a few weeks ago will be played during the 'super information corner' presentation which starts at 10:15 (Japan time) on Saturday and Sunday morning. The music in the video will be Ishikawa Chiaki's new ending theme, Heavenly Blue. 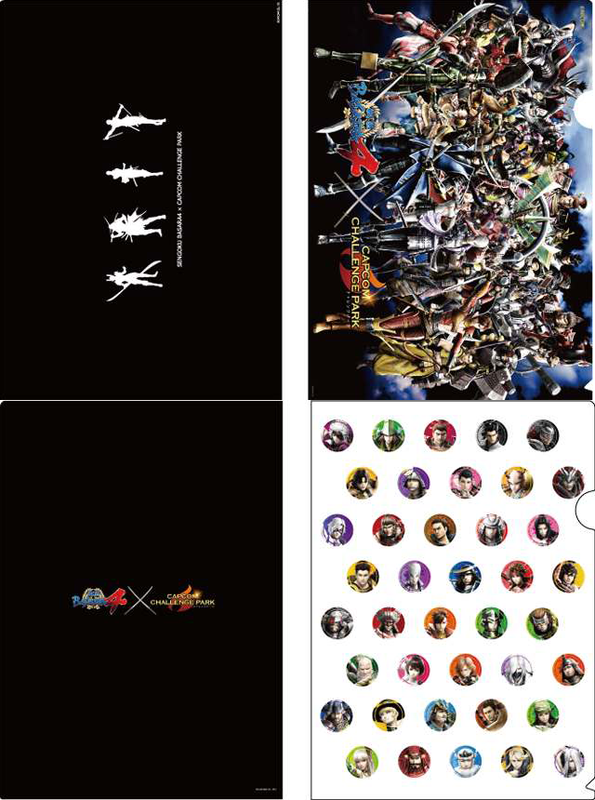 They're also going to be announcing new plans to mark the 10th anniversary of the Sengoku Basara series during the same presentation. During the gameplay premiere for the new characters at noon on both days of the show, presenter Gatchman will be demonstrating gameplay from Yoshiteru, Maria and Rikyuu live with assistance from director YamamotoD. The 'Party with KobaP and the developers!' segment of the broadcast at 16:00 on Saturday will be about the behind-the-scenes development which took place on Sengoku Basara and DMC. They'll be answering questions from the audience during the presentation. There's a picture of Ashikaga Yoshiteru brushing off an attack from Mitsunari in the article linked above. If you want to watch the live video streams from the event, I recommend checking my previous posts for the schedule and streaming links for the Sengoku Basara 4 Sumeragi VS DMC4 SE and Capcom TV! Nico Nico Choukaigi 2015 Special Show channels. The clip isn't very long (it starts at 1:33) but it's totally worth it for the "Let's Sengoku Tea Time!" comment from the announcer. The full event details have now been published for Machi★Asobi, a three-day entertainment event which commences on 3rd May 2015. 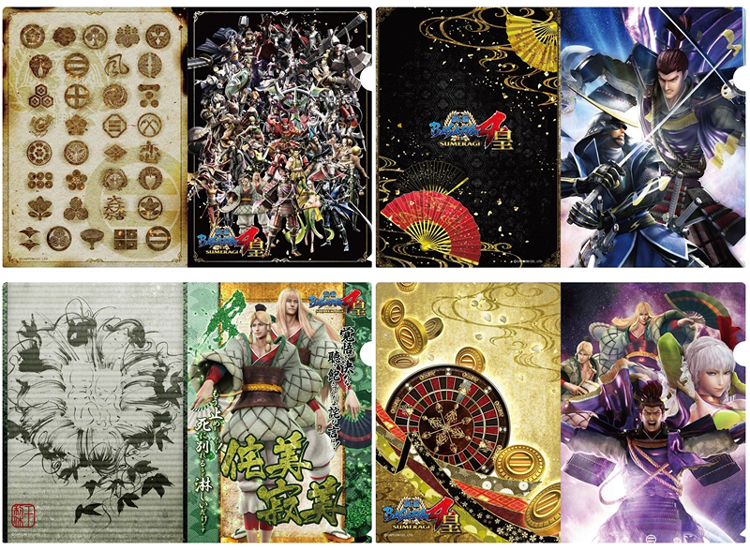 There will be a playable demo of Sengoku Basara 4 Sumeragi for attendees to enjoy and, as with the in-store demonstrations they have planned, customers who play it will be presented with a commemorative folding fan. 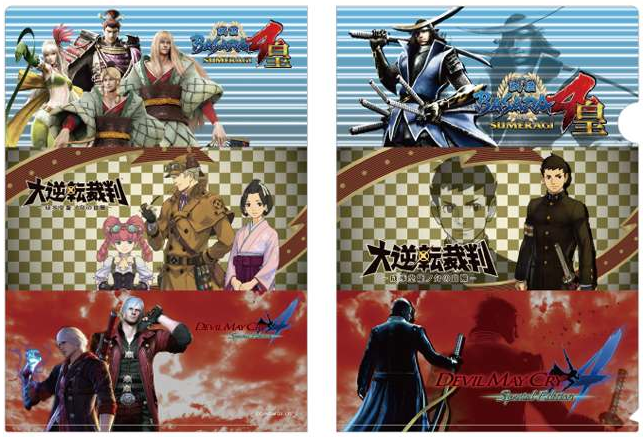 Furthermore, game producers KobaP (Sengoku Basara, Devil May Cry 4 SE) and KojimaP (Dai Gyakuten Saiban) will be hosting joint stage presentations at 17:30 on 3rd May 2015 and 17:00 on 4th May 2015 to talk about the new titles. 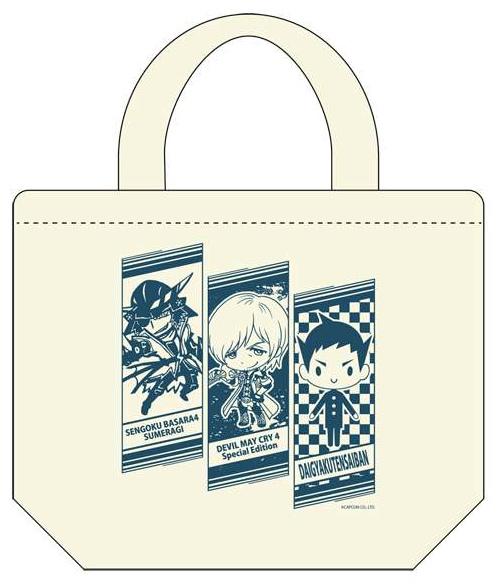 In addition, an e-Capcom pop-up store will be selling special merchandise at the event. Some of this is completely exclusive to Machi★Asobi. 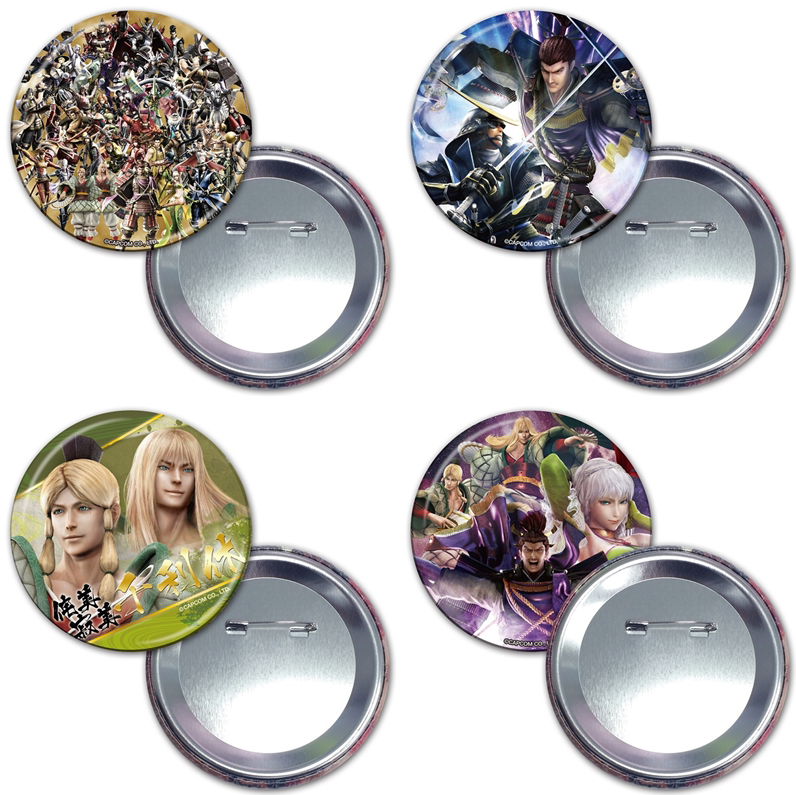 The CafeReo website has added a preview of some new Sengoku Basara 4 Sumeragi merchandise scheduled for late June 2015. These items should appear for purchase online very soon. A lot of people (both inside and outside Japan) are getting worried about not receiving their Sumeragi ID codes for the 'early reservation' exclusive weapon DLC. From what I've seen, e-Capcom has been sending the codes directly to customers in batches so if your proxy service is ordering from them please ask them to check their email. Third party distributors such as Amazon Japan and HMV have yet to send out a single code. Fellow fan @Dokuganryu2000 contacted Amazon directly and was assured that they were on the way, and I've seen similar stories from Japanese customers too. Hopefully those who have preordered will finally receive their Sumeragi ID emails any time now. Update: A Japanese fan has reported that Amazon is planning to send out the codes 'no later than the 29th May'. I hope that's just for the final batch. Meanwhile, e-Capcom is sending them out in batches every Tuesday so if you've ordered through a third party, remember that you might need to wait a few days before they'll be able to forward you the code. In the meantime, there's some good news for importers as a few more options have appeared for places to preorder Sengoku Basara 4 Sumeragi with the early reservation weapon DLC. As these companies are all placing their orders according to demand, please preorder in plenty of time to ensure you receive the code. NCSX is a long-established US-based import specialist and they've confirmed that they will be sending customers the Sumeragi ID codes they need to qualify for the weapon DLC. They're offering the standard edition for PS3 and PS4. They're also selling the e-Capcom exclusive towel bundles for PS4 (limited edition and complete edition) and they responded very quickly to my message. Nin-Nin Game is a company I've never personally used and I'm wary that their listings have been translated automatically, however other fans report that they're reliable. They're offering the e-Capcom exclusive towel bundles too and it's worth checking them out. Just be careful to ask them to send you the Sumeragi ID as they don't specifically mention it in the listings even though it's shown in the picture they're using for the e-Capcom bundles. HokutoNoBen has kindly sent them a message to try to find out more details. 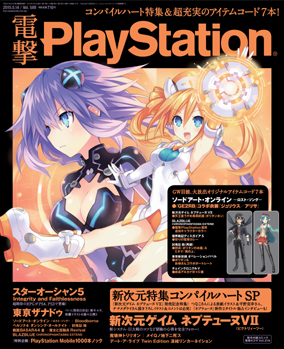 Nippon Yasan is listing the PS4 versions of the game (standard edition and 21 costume hobby box). I asked them how to obtain the Sumeragi ID and they advised that after paying for the order, each customer should contact them with their order number to request the code. They expect to receive the codes on 25th May but it might be a good idea to send your message a few days before that to make sure the code is coming, then you simply need to register it on Capcom's site before 7th June. Sorry if this is off topic but I searched the Internet and I can't find anythinggg on it :(. Why are there 2 nobunagas fighting eachother when you reach the honnoji stage in his story route.